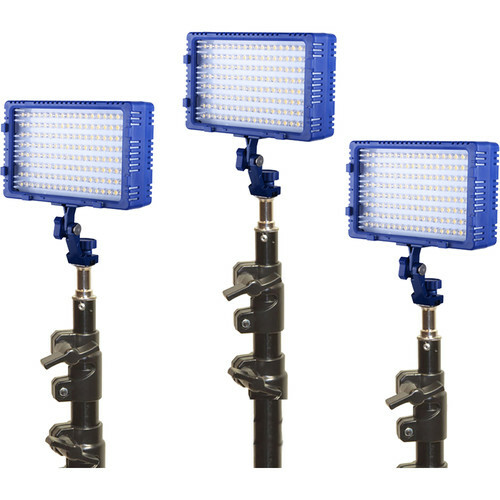 The Triple LED144 Studio Kit with Stands from Bescor is built around the compact 5.5 x 6.0 x 2.0" daylight-balanced LED144 fixture which offers 25-100% dimming and optional AC, AA, or external power options. The kit includes three LED-144 lights, three universal AC adapters, frosted and tungsten conversion filters, and three 6.75' light stands. Box Dimensions (LxWxH) 29.5 x 16.0 x 7.25"